This 2018 webinar series, Cooperative Solutions for Community Needs, was sponsored by the University of WIsconsin Center for Cooperatives. Watch the rest of the webinar series on YouTube. Why and how people have been brought to pursue an economic subsistence through alternative means, broadly described as "the popular economy"
Y quiero que mi alma encuentre su cuerpo. 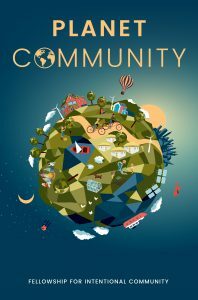 The Fall 2018 edition of Communities, focused on “Networking Communities,” is now available by donation for digital download. 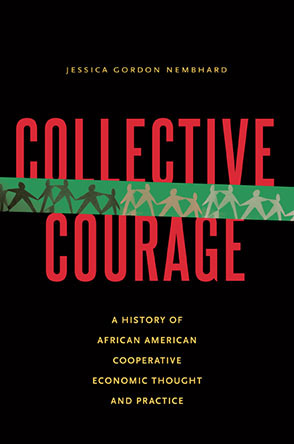 Pamela Boyce Simms wants deep social change, and she has developed a community of practice that asserts deep personal change is essential for achieving that: Inner Landscapes - Activists Community of Practice. She posts frequently on GEO about her work as well as on her Buddhist-Quaker website. This is a first in what I hope will be a series of practical articles about the nut and bolts of setting up a worker cooperative. In this first article, I’m going to take a look at an important but poorly-understood subject: minimum profit plow-back rules. There is no Hierarchy in Sociocracy…Right? “Is there hierarchy in sociocracy?” is a fairly common question. And since people expect me to say no, I always say yes. Why? Because that’s the best way to get into a real conversation. Because the real answer needs to be given in a conversation, not in a quick statement, and not in a slogan. Read more about There is no Hierarchy in Sociocracy…Right? How can we be inclusive without spending all our time in meetings? How do we deal with power imbalances? How do we prioritise what to work on? How do we undo our programming and develop an open, collaborative culture? And where does accountability come from if there is no boss!? Welcome to Planet Community! In our pilot episode we explore Dancing Rabbit Ecovillage, in Northeastern Missouri. Please support our kickstarter campaign to create 4 more episodes. Okay y’all, we’ve got a problem.